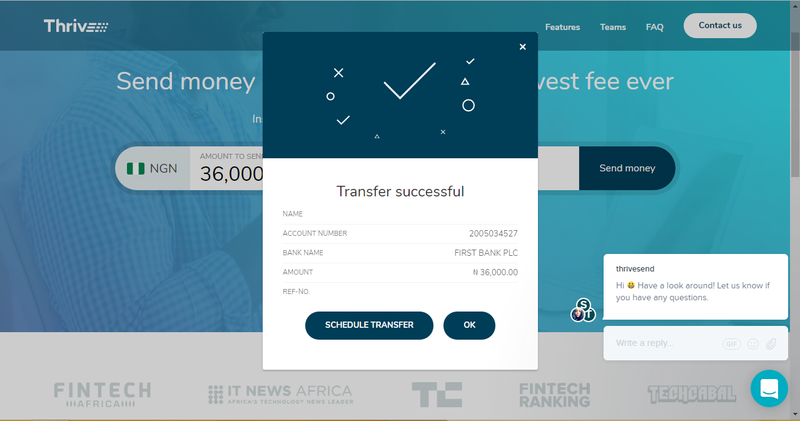 Most of the internet banking platforms in Nigeria charge you as much as 100 Naira or even more when you try to transfer money from your account to other banks in Nigeria. Some third-party platforms like Quickteller are also not left out. 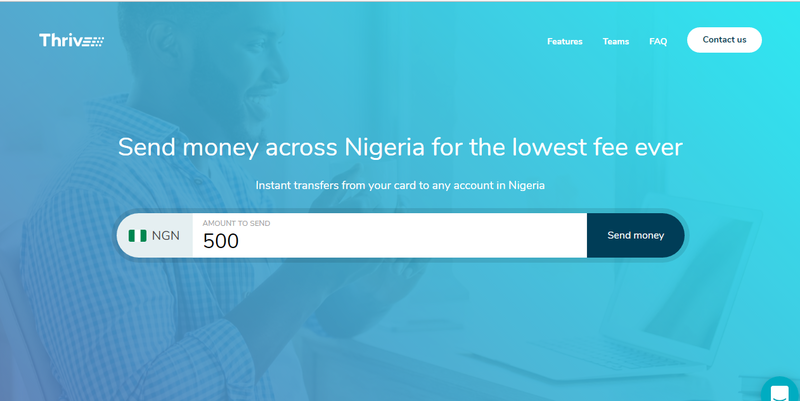 However, there is a new online platform called Thrivesend that charges the lowest transaction fee of 45 NGN. It even allows you to send money using your International Cards. See the full details as you read on. 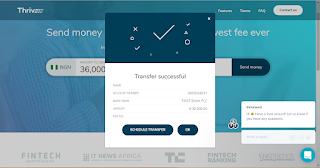 Thrivesend is a swift, secure and easy money transfer solution via your Nigerian issued or International ATM Cards to any bank account in Nigeria at a transaction fee of 45 Naira only. Based on my first experience with the site, I can assure you that Thrivesend has the easiest to use interface so far. 1. Simply log-on to www.thrivesend.com. 2. Enter the amount you wish to send. 3. Fill in your E-mail address and the bank account number plus Bank name of the recepient. (Click Next)! 4. Enter your debit card details to move to the next stage where your BVN number will be requested. 5. Validate the transaction with your OTP or hardware token to complete the transaction. 6. Voila! You have successfully completed a transaction. Your account will then be debited and the beneficiary will be credited accordingly. It is fast, safe and secure. No need to setup an account. It charges the lowest transaction fee of 45 Naira per transaction. You can send as low as 500 Naira. Any Bank Card is allowed; both International and local. We gave the platform a quick shot and the transaction was completed in few seconds. Have you also tried the platform? Tell us your experience via comments. Thanks but please do they have an android app..? Do you have any proof to back your claims? The Admin said they have tried the service and even added screenshot of a successful transaction. Pls give us your own proof so that we can all learn from it besises the site is powered by a well known Microfinance Bank. I can't find the thrivsend app on playstore let the admin drop the playstore link.. But why most I use my bvn before making any transfer..?